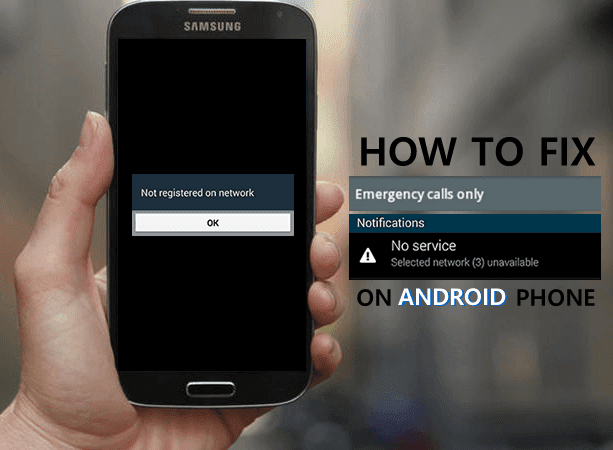 Does your Android phone keep displaying the “Emergency Calls Only” screen? Is it no longer in service? Are you no longer able to receive or make phone calls or messages? When your cell phone has become about as useful to you as a brick, it’s time to start troubleshooting to get an answer as quickly as possible. This guide was written specifically to help you get your Android phone off of “Emergency Calls Only” mode and back to good working order. The first thing to consider is whether this may be a software issue, a hardware issue, or a problem with the network. Hopefully, it is a software issue as these are usually the fastest and easiest to fix. Software issues mean that there is something wrong with the programming within the phone. Hardware issues arise from wear and tear or other damage to the actual physical components of the phone, and are often the most difficult and expensive to fix. Network problems can be difficult to pinpoint and although they can be easy to solve, they are also difficult to find simply because the problem may not be with your phone. As you go through this guide, be sure to follow every piece of advice even if you think it may not apply to your situation. The first step is to simply restart your devise. This forces your phone to completely drop the network connection and then reconnect once the phone is back on so many minor software glitches can be fixed this way. To restart your Android, power down your phone and then wait 30 seconds to a minute before powering it back on. Allow it to completely turn on before you try to check if it’s working again. If a simple restart didn’t work, the next step is to try a second level restart. This is also known as a soft reset and is also helpful for fixing minor software glitches. To do the second level restart, begin with your phone turned on but not plugged in. Then, remove the battery from the phone. Wait 30 seconds to a minute, then replace the battery and power the phone on. Note that there are some Android phones that do not have removable batteries. If you have one of these types of phones, then you will have to skip this part since you will not be able to remove your phone’s battery. Not all Android phones have SIM cards that you can remove or that you have access to. If yours does not have a removable SIM card, then you won’t be able to do any troubleshooting with it, so feel free to move onto the next section. However, if you do have a removable SIM card, keep reading carefully as there are a number of problems that can arise with SIM cards. SIM stands for Subscriber Identity Module, and is what all cell phones use to communicate with its wireless network provider. However, SIM cards are not exclusive to a phone and contain information such as your phone number and contacts although it is not the same as a memory or SD card. Because your phone’s SIM card is what is connecting you to the network, it is an important thing to consider when getting Emergency Calls Only error messages. In fact, if you take the SIM card out of a phone that is working fine, that phone would also display and Emergency Calls Only message and would no longer be in service. To check your phone’s SIM card, carefully remove it from its slot and check it for any damage or dirt. Make sure that the connections are also clean and dirt-free. To be certain, you can use a pink pencil eraser to clean off the connector parts of the SIM card. In addition to checking for dirt or damage, you will also want to make sure that the SIM card is fitting properly in its slot. If there are obvious signs of damage to the SIM card, particularly on the connectors, head out to the closest service center for your network to get a new won. AT&T stores will be able to provide replacement SIM cards for AT&T users, and T-Mobile will provide replacements for T-Mobile customers, and so on. If you’ve had your SIM card for a while, it might simply have worn out, particularly if you have switched it a few times from phone to phone. SIM cards that are more than a year or two old may need to be replaced simply because they are older, so replacing your card will help you have the most up-to-date SIM card available. If you suspect it might be the SIM card but aren’t sure, there is an easy way to test them without having to trek all the way to the phone store. Simply find someone else who has the same type of service as you and slip your SIM card into their phone. If their phone also loses service and begins to display an Emergency Calls Only error message, than it is definitely your SIM card, and a quick replacement will get your phone back up and running. Does your phone only display the Emergency Calls Only message in certain locations or is it a constant problem? If you find that it only happens in certain places, then it may simply be a signal problem with your network provider which means you’ll just have to keep moving to find an area that has signal. When you find your phone loses service, ask other people who have the same service provider as you to see if they are having the same problem. If they still have service, it may be your phone. Sometimes the problem is that the phone is not connected to the network. To manually search for networks, go into settings and then tap on “Wireless and Networks.” From there, tap “Mobile Networks,” then “Network Operators,” and then choose to “Search Networks.” Next, restart your phone and see if you have service again. If you are not able to tap on “Network Operators” because the phone has it grayed out, then your phone is already set up correctly to connect to the networks and it’s time to move on to the next step. 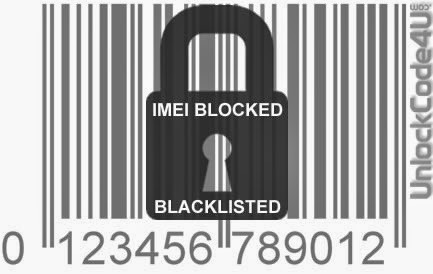 If phones have been blacklisted (reported as lost or stolen), many service provides will put a block on the phone's IMEI to cut it off from service and prevent it from making and receiving calls. This is meant to discourage theft, and could possibly be causing your phone to have lost service. Typically, only you or other people who have access to your account can report a phone lost or stolen, but mistakes are sometimes made, so although it’s not likely that this is the problem, checking the status of your phone is as easy as calling your wireless service provider to ask them about your phone’s status or requesting your IMEI Status Report with us. 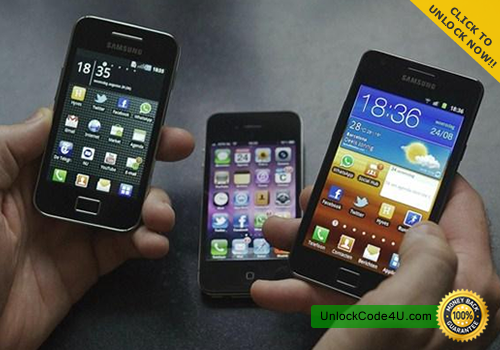 We also recommend: Does UnlockCode4U unlock blacklisted phones? Although cell phones no longer have visible antennas, these antennas are no less important today as they were in the past. Now, they are often built into the phone’s back plate. This means if the plate is removed, damaged, or not properly attached you may find yourself without service. If you know the back of your phone has been damaged or the back battery cover no longer fits correctly for some reason, this may be causing the Emergency Calls Only error message. You can usually get into contact with the phone manufacturer to get a replacement back plate. If your phone was dropped or otherwise received some type of physical damage shortly before the error message showed up, it could be that your phone was damaged and you will need to replace it. However, before shipping it off to the manufacturer, keep reading through this guide to check other issues just in case. Most phones will have something known as an LDI, a Liquid Damage Indicator. This strip on the inside of the phone is designed to change colors if the phone gets exposed to enough water to do damage. Find the LDI and check its color. If it is white or white with X’s on it, then this is not likely the cause of the problem. However, if it is pink or red, then the phone has received water damage which means you have probably found the source of the problem. The bad news is that this also means the warrantee is void. If you do end up getting a replacement phone and you find yourself facing the same Emergency Calls Only error message, it is likely that the problem is not related to your phone’s software or hardware, but the network itself. In this case, there’s really nothing you can do except switch wireless providers. Sometimes, you will find yourself with very poor service if you try to make phone calls at certain times of the day and in certain environments. For example, trying to get a phone call to go through while stuck in rush hour traffic near a big city will likely be difficult because of the sheer number of people that are also using the same cell tower as you. Although this doesn’t normally cause the Emergency Calls Only error, it can cause you to lose cell phone service at times. This happens much less frequently and is not likely to be the cause of your problems, but it is something that can cause interference with cell phone service. Everything from rain, snow, wind, and hail can cause poor phone service. Severe weather conditions and natural disasters can even knock out cell phone towers that leave people without service for a period of time. If you have had a natural disaster or severe weather in your area, a little research can usually uncover whether or not there are any towers down in your area. If there are towers down in your area that are going to be down for a while, you may consider cancelling your service for a time or switching service providers. In most cases, these towers are replaced rather quickly because service providers don’t want to lose customers, so it’s usually best to just wait it out for a couple of days. Once you have ruled out some of these hardware issues and other environmental factors, you can begin to go through this list to check for any possible software issues that you can easily fix yourself. Many of the software issues that happen with Android phones are related to third-party applications that you downloaded and installed. If you had recently downloaded or updated an application before the error message started showing up, uninstall the app and see if that was causing the problem. In some cases, you can reinstall the app at a later time without problems, but in the case of bad apps, you will encounter the problem again if you download it again. There are a number of firmware and software updates that your phone needs in order to function properly. Check to make sure that you have your phone fully updated to see if that solves the problem. Applications that need to be updated could also be the cause of the Emergency Calls Only message. Problems with the IMEI number are extremely rare, but it’s worth checking into if nothing else has worked so far. If your phone’s IMEI is not correct, it can prevent you from making phone calls. To find your phone’s IMEI number, open up your dial pad and dial in *#06# which should cause the IMEI number to pop up automatically. You then need to compare the number on the display with the printed number on a sticker which you can find either under the battery or in the SIM compartment. Since that usually requires you to remove the battery, be sure to write down the number on the display before removing the battery. Sometimes, the displayed IMEI number has a couple extra digits when compared to the printed number, but the numbers should match up until that point. If the numbers to not match or you keep getting an ERROR message when trying to pull up the digital number, then this indicates a serious defect and the phone is not being properly identified by the network and is therefore not in service. This type of defect does result in needing to have the phone replaced. The good news is that this problem is usually covered by a warrantee. Again, this is something that happens very rarely, but if nothing else is working, it’s worth looking into. On rare occasions, a bad app will cause a glitch that leads to your phone having no service. Unfortunately, if that app has already placed a bug or virus on your phone, deleting the app itself does not solve the problem. Although viruses for the Android operating systems are not common, it is important to keep in mind that phones are small computers and do need the occasional maintenance. To completely clear the phone of viruses and other malware that might have made its way onto your phone, you will need to do something called a hard reset or a factory data reset. This will reset everything on the phone and return it to its default factory settings. While this is great for removing glitches and viruses, it also erases all of your user data, so make sure you backup all of your contacts and other information before beginning the hard reset so that you don’t lose anything. How you perform the reset will vary slightly depending on the type of phone you have. On some phones, you will have to go through “Settings” and then “Privacy” to find the “Factory Data Reset” option. Others require you to go through “Settings” and then “SD and Phone Storage.” Once there, the phone will warn you about losing all of your information. If your information is safe, then you are free to proceed with the factory data reset which your phone will do automatically. It will power down and may take a few minutes to start back up. When it does start back up, you will usually have to redo all of your phone settings and can begin putting your user information back onto your phone. Here are a few more tips and tricks that you can try when you have an Emergency Calls Only message on your phone. Many of these are not permanent solutions, but they may help get your phone working long enough to make a call or send a text while you work on finding a more permanent solution. Despite the low chance of these being permanent solutions, they might help you anyway. Sometimes, by turning your phone’s “Airplane Mode” on and then back on will get it to reconnect to the network again long enough to make an actually phone call. SD and other memory cards hardly ever cause problems with cell phones, and even more rarely cause problems that are network-related. However, since they do occasionally mess with your phone, it is something that you can easily check to rule out as a possibility. 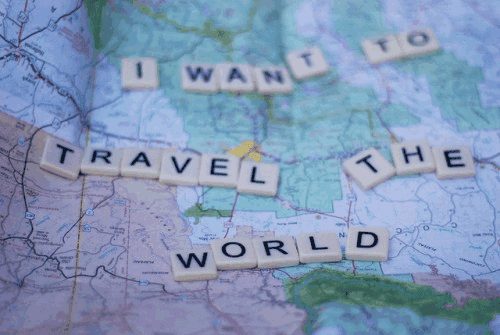 Begin by turning the phone off. Then, remove the memory or SD card and turn the phone back on. Test the phone to see if you are able to make normal calls of if it is still displaying the Emergency Calls Only message. If the phone does work normally after that, you can double-check that this was the problem by putting the SD card back into the phone and trying again. If you are using a prepaid phone or have a prepaid phone service, then you need to be sure that you still have days or minutes to use. Most prepaid phones that no longer have usable time or money will display the Emergency Calls Only message because they can only be used for emergency calls at that time. While these can make great emergency phones to leave in your vehicle, if you want to use them as a regular phone, you do have to recharge and pay for regular service. Once you have gone through this entire list and had nothing work, including the factory data reset, the problem is likely network-related and nothing you do to your phone will help in this case. Sometimes, this just means a problem with a nearby tower, but other times, it could be a problem on your account or a specific phone line on your account. Call the customer service number for your wireless service provider and explain the situation to them. Tell them what happened and what you did so far to troubleshoot. Make sure you have your phone with you while you are on the phone with them so you can work with it as they talk to you, and be ready with your phone’s IMEI number. While calling customer support can be frustrating, it’s important to be patient as they work to solve your problem. You may find yourself getting bounced from one department to another as they need to check or change different parts of your account settings and find out about your warrantee options. Try to remain patient and polite throughout the process since it is difficult for them to troubleshoot over the phone if the solution is not obvious. If you are sure that the problem is network-related, then try to remain firm that the problem is on their end to avoid them simply sending you a replacement with which you encounter the same problem. Sometimes, your best chance of getting the problem worked out without getting passed around from department to department is to go directly to a store to talk to a representative there. When you go to a store, you may find that the representatives there are not the best at troubleshooting, but they will be able to help you rule out some possible causes of the problem such as the SIM card. They will also have a much better chance of getting the right person on the phone if they need to call support for more answers. As you talk with the representative, be polite and reasonable while you remain firm. If possible, don’t leave the store until your problem is solved or they are clearly actively working on it, such as when a replacement part is being sent to you. In the cases of replacement parts being shipped, always be prepared for the possibility of that part not being the issue in which case you may have to start the process all over again. When you have a phone that keeps losing service or has the Emergency Calls Only error message coming up, it can be extremely frustrating because there’s no point to having a phone that can’t make and receive phone calls and text messages. It is also hard because if you’re like most people, you use your Android phone for a number of things other than calls and text messages. Hopefully this guide was able to help you troubleshoot your phone and get it back up and running normally again. Still confused? Watch this video for a better insight into how to resolve this issue easily. 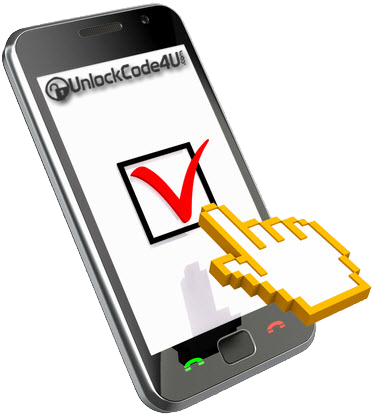 Does UnlockCode4U unlock blacklisted phones? What means unlock a cellphone or mobile phone?